Yay! Time to stock up once again! Starting Sunday 5/14, ShopRite will have a Pick 4 Pay $1.99 on Select General Mills Productsl (must buy in increments of 3). 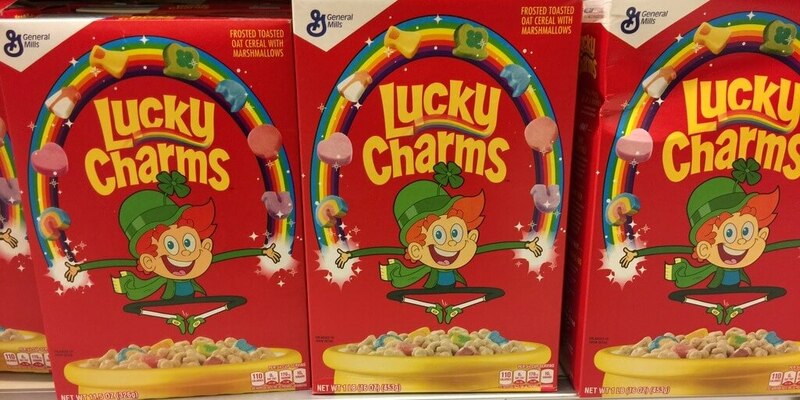 Included in this sale are Lucky Charms, Original Cheerios, Reese’s Puffs, Honey Nut Cheerios, Cinnamon Toast Crunch Cereals and Nature Valley Granola Bars (limit 4 offers). 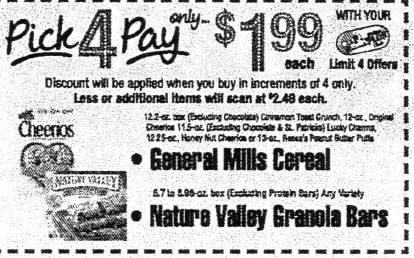 You can score 4 Nature Valley Granola Bars and 4 General Mills Cereals for as low as $0.55 each after coupons and Catalina. Check out our other deal ideas below! Be sure to check out the rest of the ShopRite Preview Deals for next week.